One Star is an animated TV sitcom pilot. Involved in the project from the pre-production stage to final delivery. Setup the general 3d method for the show and the master lighting and rendering pipelines. Creation of 3d sets and characters. Development of render passes and the compositing of a selection of the final shots. This was a full 3d project of 29 minutes duration. Corridor Shot – Creation of the environment including modelling, texturing, baked lighting and scene lighting and rendering. Generated the cg passes and composited the shot. Exterior House Shot – Build and texturing of the house and environment. Lit the scenes and created the passes which were composited with Photoshop and Fusion to the final shot. Build of the “Deek” character (blue jumper) including the base blend shapes. Kitchen Shot – Scene setup, dressing and lighting. Rendering and comp. Reception Shot – Created the environment, including build, texturing and lighting. KNTV Philosophy is an animated TV show of 10 episodes and 90 minutes CG footage. Creation of the central set including modelling, texturing and prebaked lighting and addition props and effects. Scene and render prep of the characters. Setup the character lighting, scene layout, render method and composited the majority of the final shots. These sub shots originate from previz which were animated with 2 other people. 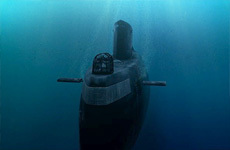 They were mocked up in 3d and the camera and sub moves approved prior to the sub element being shot on a stage “dry for wet.” Creation of a sub model, which was used for the previz and to lineup the digital environment. As part of a small team working on the particle, matter, water environment, bubbles and volumetric lighting which is all 3d generated. In addition to the underwater sequence previz and 3d elements were created for surface set extensions. These shots form part of a longer sequence that was used for promotional purposes. Involved in the preparation of assets, scene layout, lighting and rendering. A 3d pilot for TV show. Involved in the environment modelling and texturing. Created the water simulation, rendering and particle effects. Also the project lighting, rendering and compositing. The temple is a scale physical model. The explosion is a digital effect. The build of a CGI facsimile of the temple from blueprints and reference photography. This was used to add CGI effects to the motion control plate and create lighting and volumetric passes etc. Creation of 3d flocking birds for the shots in this sequence. There are digital people running and falling from the blast which were animated and rendered. The burnt and scarred landscape left after the blast is a 3d textured model which was lit and rendered out. The space visuals are taken from a 3 minute space fly through film which was created to be projected at BT’s Innovation Centre. With the clients input development of the look and direction of the film. The project included animation and camera moves, modelling, texturing, lighting, multi pass rendering, particle effects and paint work. Also the compositing of the shots and sequence edit. Anamatics from the sequence. Animation, lighting and rendered of the shots. Also effects animation. The sub conning tower and plane build. Tech setup of the planes rotors and guns. Compositing of the elements to mock up final shots. This was part of RnD for “PitchBlack.” The brief was for circular spiraling clouds. Animation and volumetric shader development, lighting and rendering. From a sequence of a giant octopus attacking a ship. Rigging of the tentacle. Texturing, shot lighting and rendered. This car chase is a shortened version of a 7 minute sequence from the film. This was a long project and I was involved in most areas of the sequence working within a team. Model rebuilt and added detail to the red & grey Winebago vehicle from a scanned miniature, textured it and added the headlight effects etc. Animation of a third of the shots in the sequence. Worked on the developing and rendering out the various passes used to create the final composite, for example interactive lighting and reflection passes. Provided lens flare, planet, debris and smoke effects for a number of establishing shots throughout the film. Skiff escaping “PitchBlack” planet. Skiff craft model build, working from blue prints to match full scale set mockup. Texturing and surface effects. Animation of shots. Scene lighting and trail effects. Test comps and final rendered elements. Examples taken from a 65 shot Pipeline (bomb) sequence. Build and texturing of digital replicas of the “PIGS” (The rigs that Bond fly’s along on.) These models were used for the full CGI shots and digital additions. In the first of the sparks shots the “PIG” behind Bond is a CGI addition. Shadow and interactive lighting passes were created for the digital and physical tunnel utilizing the digital models. Scene setup and lighting. Animation of the shots in the sequence. CGI sparks creation and interactive lighting for the screwdriver breaking against the wall. The final “jumping off” shot involved a digital set extension and the addition of CG lights and shadows. Created final rendered passes and test composites Also involved in the initial RnD. One of the core team who produced the opening 60 shot Bubble Fighter sequence. Involved initially in the development of an animatic of the complete sequence. 1) Animation of pull back though Hyper-Gate, lighting and rendering. 2) Sedition Raider fires. Animation, lighting and rendering, laser blast effect. 3) Freighter attacked. Designed and built buildings, texturing. Sedition animation, interactive lighting. 4) Rescue craft (Pugs) launch doors open. Design of craft, doors and mechanism. Animation of shot, texturing, lighting and rendering. Created lighting and scene setups for many additional shots. Also worked on multiply 3d package integration, test comps, render management and effects animation. Car build, texturing, animation. Lighting rendered of the shot. This was a global illumination and reflection test. Compositing of the digital car into live action background.